For the entire month of July I will be offering a special discount! 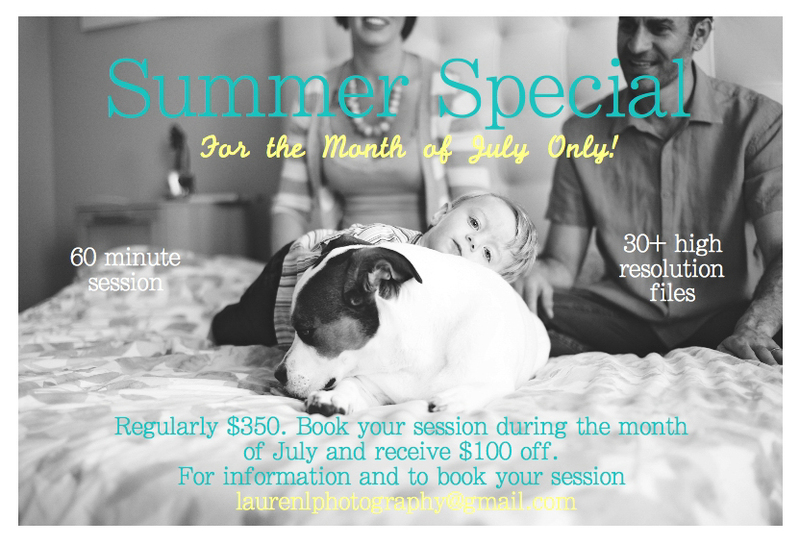 All sessions booked during the month of July will receive $100 off. Book between the dates of July 1 and July 31, and schedule your session for whenever you would like*! *Session must be fulfilled by the end of 2014, but that's still 6 months away!